Let me tell you about my personal dry vermouth journey. When I first started getting into cocktails and mixed drinks in college I really wanted to like the Martini. Gin was a bit of an obstacle for me at the time (not anymore) but even vodka Martinis didn't appeal to me when I tried to make them at home. Sure I shook them just like James Bond told me and I resisted the "just slosh a little vermouth around the glass and toss it out" movement for ultra-day Martinis. I made them at about 5 to 1. But I just couldn't make myself like them. I tried the vermouth by itself and found it to be pretty awful. This was just the cheap stuff at $3 or $4 a bottle. So I figured if I drank Martinis it would be with vodka and little or no vermouth. Over time I started to enjoy gin more and more but I still wasn't drinking Martinis. Then one night in Manifesto, a local craft cocktail bar, I was telling the bartender about my tortured history with vermouth. He suggested I try Dolin Vermouth de Chambery and he made me a dry gin Martini at about a 3 to 1 ratio. EUREKA! It was good! All that time I didn't know there was good vermouth in the world. Now granted availability of good vermouth in the Midwestern U.S. 15-20 years ago was spotty or non-existent. It was Martini & Rossi and that was about it. The next day I immediately went to pick up both Dolin dry and sweet and haven't looked back since. I know enjoy my Martinis at a 2 to 1 ratio. Dry vermouth is a fortified aromatic wine most famously used in a Martini. Dozens of different roots, spices, barks, seeds and peels are macerated in a white wine base which is then fortified with a grape or sugar beet neutral spirit. The end product comes out at 15 to 18% alcohol and is either nearly colorless or the color of a pale white wine. The name comes from the German word wermut which means wormwood. Wormwood was once a part of the botanicals used in some dry vermouths. After the ban it's use was curtailed. Dry vermouth is also called French or sometimes white vermouth, though blanc vermouth sometimes refers to a sweeter white vermouth. Vermouth used to be a rather generic term for any aromatized wine. Some producers such as Dubonnet dropped the name and instead pushed their own brand name. Today vermouth is a more narrow category encompassing sweet red and pale dry versions. If you need a substitute for dry vermouth a good choice is Dubonnet Blanc. Boissiere Extra Dry - This is a dry, almost colorless vermouth I tried in Colorado. Though pale in color it has good, concentrated flavors and was excellent in a 2 to 1 Martini with a lemon twist. 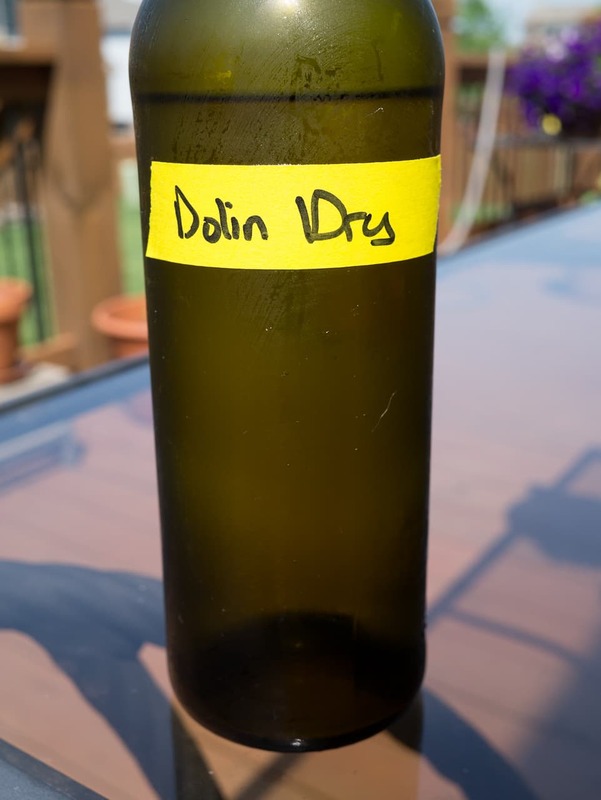 Dolin Dry - A Vermouth de Chambery style, this vermouth has is dry but with a touch of sweetness that is balanced by an accompanying vague bitterness. Very fresh and easy to drink on it's own or in cocktails. Dolin is the only vermouth to have their own AOC in France. This is my day to day dry vermouth. Noiily Prat Original Dry - Noilly Prat was reformulated after World War II for the American market into a lighter vermouth in an effort to the popular dry Martinis being poured at the time. In 2008 they went back to their original formula which is not as bone dry and actually tastes more like wine. Some ultra-dry Martini drinkers freaked out, but I prefer this original formula. You will find dry vermouth in a vast amount of cocktails starting with the greatest of them all, the Martini. But don't overlook drinking it all by itself. Dry vermouth is a wonderful aperitif. I take mine chilled or stirred very briefly over ice with a big fat twist of lemon. Since vermouth is fortified it is more stable then wine. But it is less stable than a fully distilled product such as brandy. Because of this you need to store vermouth in the refrigerator after opening it. It will keep for a month or two and this can be extended by decanting into a smaller bottle when head space grows.